An experienced lawyer qualified with degrees in Law and Economics. With a background in commercial litigation, I have been operating my own legal practice for the bulk of my career. This has given me the flexibility to build an interesting legal career whilst also pursuing commercial projects, enriching my own skills and ultimately adding value for my clients. I work with a diverse mix of commercial clients and individuals and have a strong understanding across General Law. My goal is to add value through my legal and commercial experience. Represented individuals successfully in a range of challenging personal situations, partnering with them to help them understand the situation in plain language, and developing a strategy to optimise the outcome. 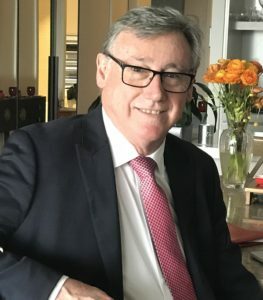 Drove successful outcomes in a range of disputes including banking disputes, Government, family law, leasing, property sales and purchases and personal negligence claims. Active member of the Manly Chamber of Commerce. Active Fundraiser for Royal Far West Children’s Hospital including provision of restaurant cooked meals for patients and families through my company owned restaurant. A history of active involvement in School and sports club management and fundraising.